Zoom!2 is a bleaching process which lightens discoloration of enamel and dentin on natural teeth up to 8 shades in just 1 hour. First your lips and gums are covered leaving only your teeth exposed. 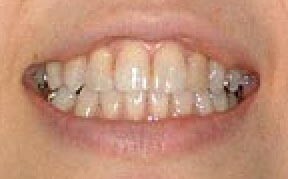 We then apply Zoom!2 whitening gel to your teeth. The Zoom!2 light is turned on and the whitening process begins. The entire process takes about 1 hour. Yes. Extensive research and clinical studies have proven it to be safe. Depending on an individual’s personal habits with respect to eating and drinking results may vary not only in color change but also duration of color change. More vibrant colors of food and drink will directly impact the length at which the lighter color remains. Touch-ups are normal and can be done at the patients convenience. If you already experience tooth sensitivity the whitening process may generate short term increased sensitivity that will dissipate. Who should NOT undergo the Zoom!2 procedure? Light sensitive individuals, including those undergoing PUVA therapy or other photochemotherapy, or patients with melanoma. As well people taking light sensitive drugs or substances should consult their physician. 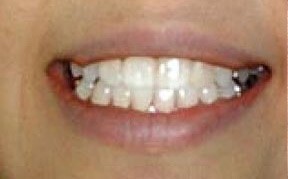 Through the use of dental impressions we can make a model of your mouth on which we make a comfortable, clear, plastic trays. The tray is like a very thin mouthguard. At home, you apply the bleaching gel to the tray and wear it for two 15-30 minute sessions each day until you have reached your desired color. It is comfortable enough to wear either at night or during the day. Although it is difficult to predict the whitening this particular method will achieve, you can anticipate a 2-4 shade improvement. There are two ways to whiten teeth without changing their shape. 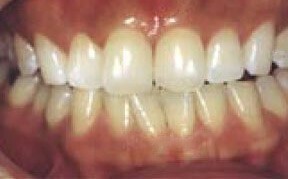 One way is to whiten, or bleach, them at home using custom trays we make for you. The other way is to power bleach them in the office. 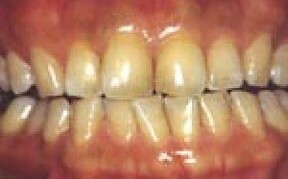 Interested in our Teeth Whitening services?